A recruiter friend recently suggested that LinkedIn has made him, in his words, lazy. LinkedIn has changed how he recruits candidates, making it much easier to find new candidates, using the search bar. 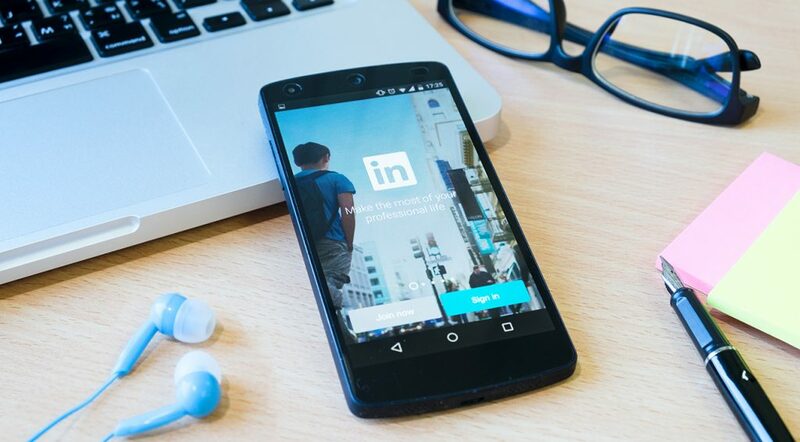 LinkedIn allows recruiters to easily search through thousands of potential candidates, regardless of whether they are actively seeking a new job or not, to identify the most suitable candidate and reach out to them. Most importantly, make sure that your profile is complete. Fill in all the sections, as recommended by LinkedIn, until the profile is rated as All-Star. The important sections include the photo, summary, your jobs and education, as well as skills and, if possible, any recommendations you might be able to get. Don’t underestimate the value of obtaining recommendations and skill endorsements. Recruiters will make a special effort to review any recommendations you might have, especially if they are about the important jobs in your profile. Make sure to have a large network, especially in your own field. It’s important to have a large number of contacts, preferable over 500, but it is also important to have professionals who are specifically in your field. Connect with recruiters, whenever you can. You will find them mentioned on job postings. Recruiters can also be found by searching for them on the search bar. Remember that recruiters search for candidates from their own profile, which means that the more contacts you have in your field, the more likely you are to share 1st or 2nd degree contacts with a recruiter, and therefore, the more likely you are to appear in their search results. Once your profile is found by a recruiter, you want to make sure that they can immediately see how well matched you are to jobs in your field. To do this, you need to include all the important keywords in your profile – in your job title, your summary, in the various job descriptions, as well as in the skills for which you are endorsed. Remember, also, that recruiters search for candidates by skills, so if you don’t have those skills on your profile, you are less likely to appear in a search. To identify the most important skill keywords, conduct a job search and review which words are chosen by recruiters and employers to describe the qualifications and characteristics of ideal candidates. Add those terms to your LinkedIn profile, as well as to your resume. Utilize the job search tab to look for jobs. Use it fully by searching for jobs, as well as saving and applying to jobs. You can also check the ‘Jobs You May Be Interested In’ and ‘Jobs In Your Network’ sections on the Jobs page, as well as set up email alerts for new postings in your field. Recently, LinkedIn introduced an exciting new option, titled Career Interests, which allows you to flag yourself to recruiters and thereby make yourself more visible. It allows candidates to specify to recruiters exactly what and where are the jobs that they are seeking. This function is active for 3 months at a time, allowing you to update it every three months and keep it current and in line with your interests. Recruiters have been known to browse through LinkedIn Groups of professionals in the sector for which they are recruiting, to identify potential candidates. Join groups and take an active role. Remember also, that if you share a group with a recruiter, you are more likely to appear in their search results. To be more likely to be discovered by recruiters on LinkedIn, make sure to present the best possible, most focused, coherent and easy to understand profile. Growing your contact list, using the job search function, signalling your openness to recruiters and participating actively in groups will also help recruiters find you and be impressed by what you bring to the workforce.